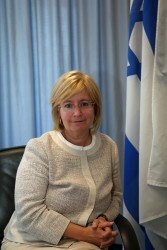 Talya Lador-Fresher completed her military service for the State of Israel in the intelligence sector from 1981 to 1983. She studied business administration and political science at the Hebrew University in Jerusalem and received a Bachelor of Arts degree in 1987. She joined the diplomatic service of her country in 1989. This article includes a total of 534 words.